I returned from the Canary Islands a few days ago and I'd like to share some of the pictures I took there. 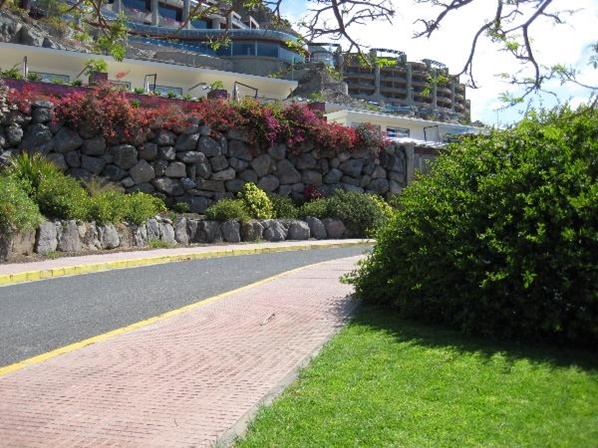 Amadores apartments in the south-west of the island. 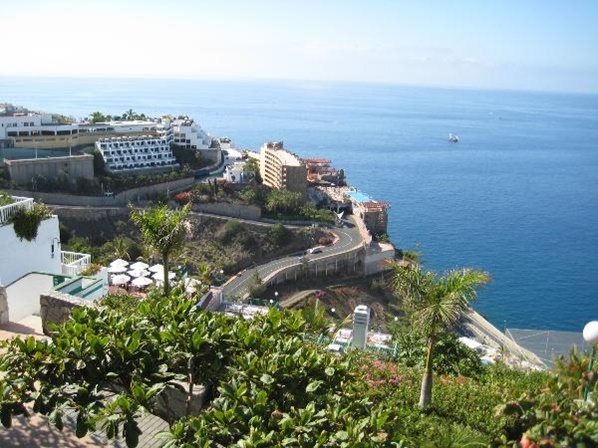 Some Amadores hotels. 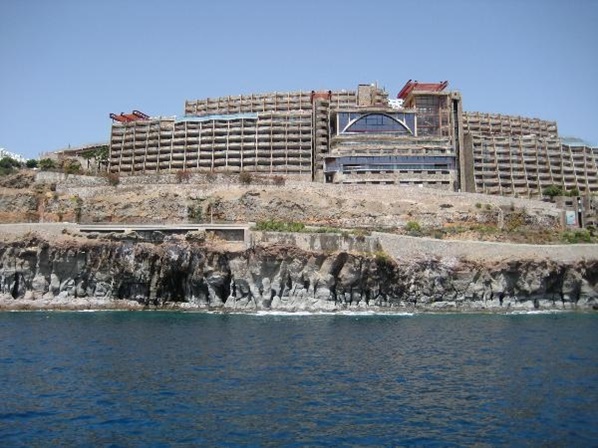 Note that there is a swimming pool on the roof of the the Gloria Palace Hotel closest to the sea. The Gloria Palace Hotel from below. I was on a boat when I took this picture. 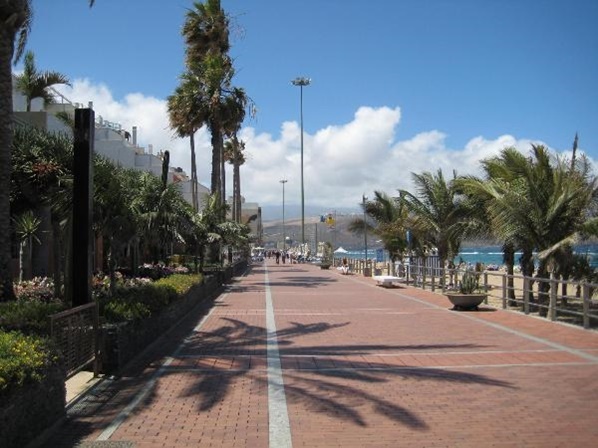 A promenade lining Playa de Las Canteras in Las Palmas, the capital of the islands. 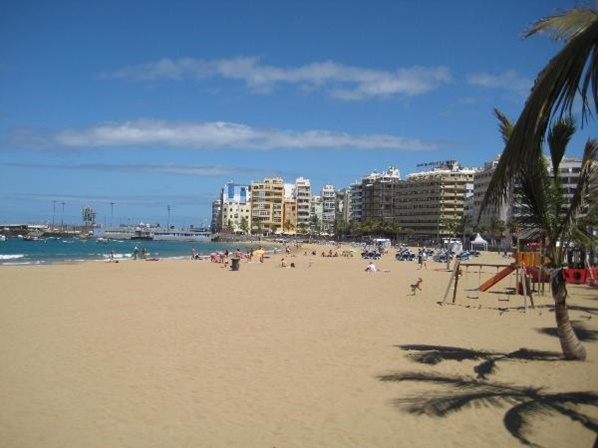 Playa de Las Canteras is three kilometres long. This is the northern end of it. Time to have a cup of coffee and some tapas. There is something wrong with the picture editor. I meant to post more pictures but it accepts pictures in a very unpredictable way. Everything seems to work out fine but in most cases the picture doesn't appear. Sometimes I see just two or three millimetres of it in the window and when I go to Prewiew, I see all of the picture. There are some bugs. However, I'll try to post more pictures in the next few days. 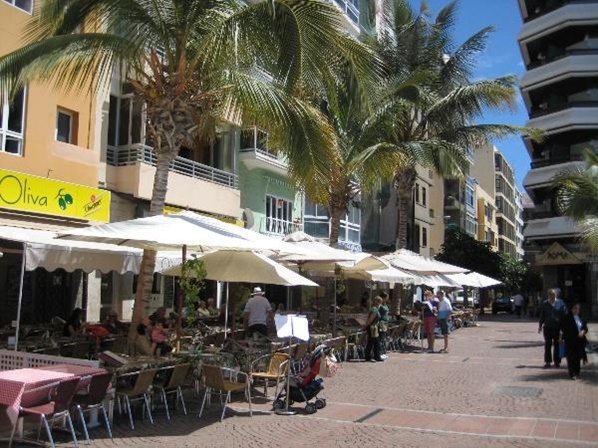 The first pics are from MasPalomas, right? Wow Pucca, you know those places. Amazing pictures CB. Add more please. I liked the solution of your new camera. Good work CB ! Excellent picture and excellent place . Thanks for sharing photos – world too big to see all interesting place unassisted . Grammar Geek Oh my gosh - it looks SO beautiful there. Thank you for your kind words, GG. You ain't seen nothing yet as far as beauty is concerned. There's something wrong with the picture uploading feature. It isn't working at all now. I can't post a single picture, I just get what looks like the "URL" - if a picture on my computer has one - of the picture. No actual picture at all. I'm sure the über-geeks will fix it sooner or later. When they do, I'll post more pictures. Hi CB, we've changed to the wikipedia image format - http://en.wikipedia.org/wiki/Wikipedia:Extended_image_syntax - This now gives you the ability to add 'captions' to the pictures, and you can control the size easily (nothing bigger than 600px width though). hitchhiker Hi CB, we've changed to the wikipedia image format - - This now gives you the ability to add 'captions' to the pictures, and you can control the size easily (nothing bigger than 600px width though). Holy smoke! It happened overnight, literally! The way modern technology advances will make me lose the rest of my hair. I'm not complaining, though, because that means less money spent on shampoo. I'll try to figure out the new system tomorrow. Right now I have more urgent things to do, such as watching the Ice Hockey World Championship from Canada.